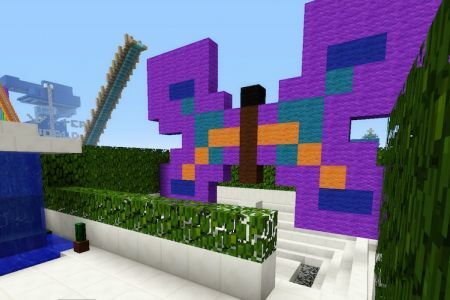 Check out my gallery of easy to create Minecraft Maze's and find tips on making your own awesome maze. 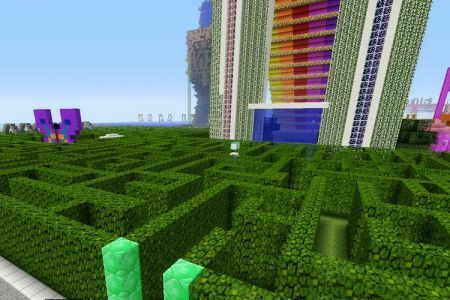 Making a Minecraft Maze is super easy to make and is a fun spin for any visitors to your map. 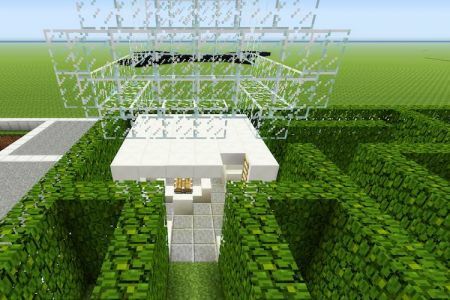 It is pretty easy to create a maze in both creative and survival mode. 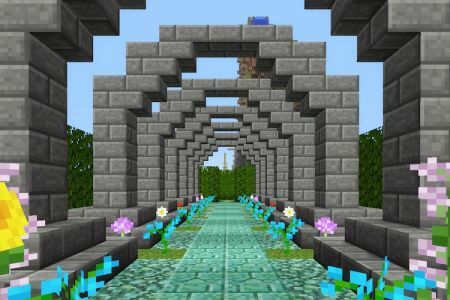 The large Maze I show here was created with tree leaves as the walls, but you can basically use any materials. 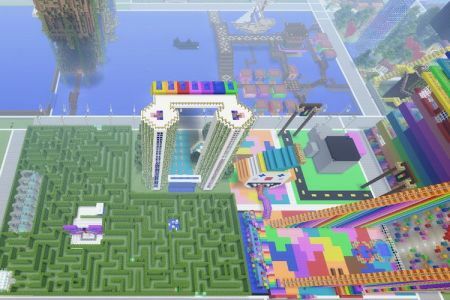 A Minecraft Maze can be used for fun, or as a form of defense for a base. Making the maze itself is fairly easy. I personally like to figure out the space i’m going to occupy and then work from there. Don’t build the walls up until you have most of the maze built already. Start wherever you want the beginning and just randomly create hallways. Try to make it winding, and make sure you add a few dead ends here and there. When you are working within a confined space just fill in the areas you didn’t reach with more dead ends. Make sure that everything leads back to the main path that takes you to the end. It is also fun to preplan and add various stops and/or obstacles along the way. I like to include a nice sweet observatory/rest area in mine. Somewhere you can climb up to the top and get a good view. In a larger maze it won’t be possible to see the entire way out, but it can be a way to help anyone new to the maze find their way out. 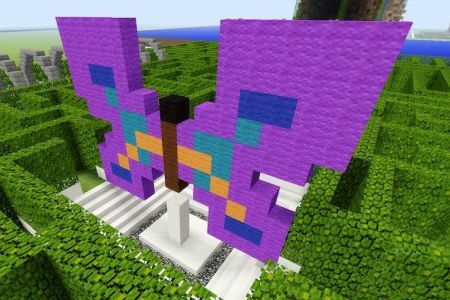 I’ve also built other random things like a butterfly statue, a nice flowery arched pathway, and even an underground aspect to my maze’s. To add an underground maze, use trap doors so that it looks like a dead end, except your forced to travel down. Have the player emerge in a totally different area. 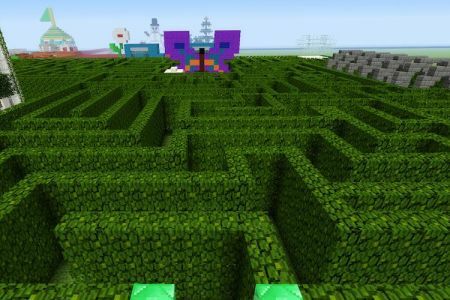 Adding extras to your maze makes it more fun and adventurous for those using it. However even just a simple maze is fun enough. When you don’t know the way out it can be extra entertaining to watch others try to figure it out. If you want to be really elaborate, you could have players compete in a massive maze race to the end. Just be sure to create multiple ways that actually make it through to the end so players aren’t stuck following each other. If you are gonna do that you’ll need a really large area and it will take you a bit to plan out your map, but it is worth it for a fun game.